Originally, this post was suppose to be an art review (don’t count me out just yet). 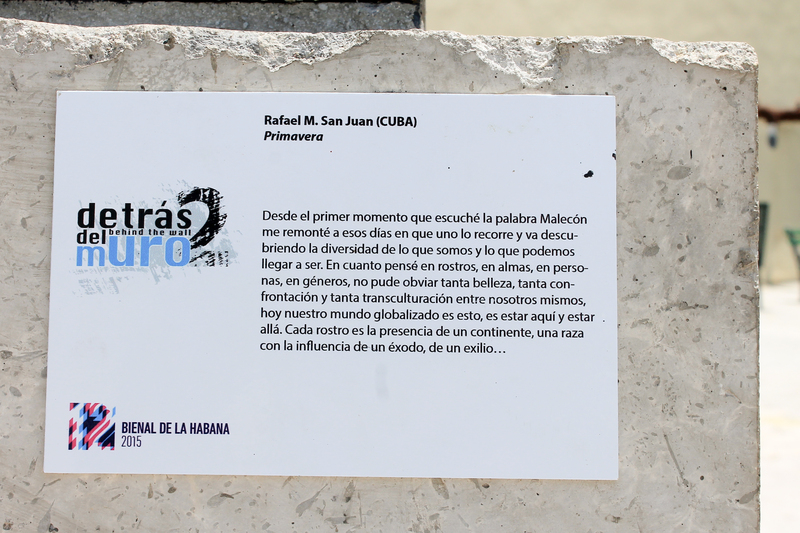 A little about the piece, it was made by Rafael San Juan for the detrás de los muros exhibition in the Bienal de La Habana 2015 and was donated to be a permanent fixture on the waterfront located at the corner of Galiano and Malecón. 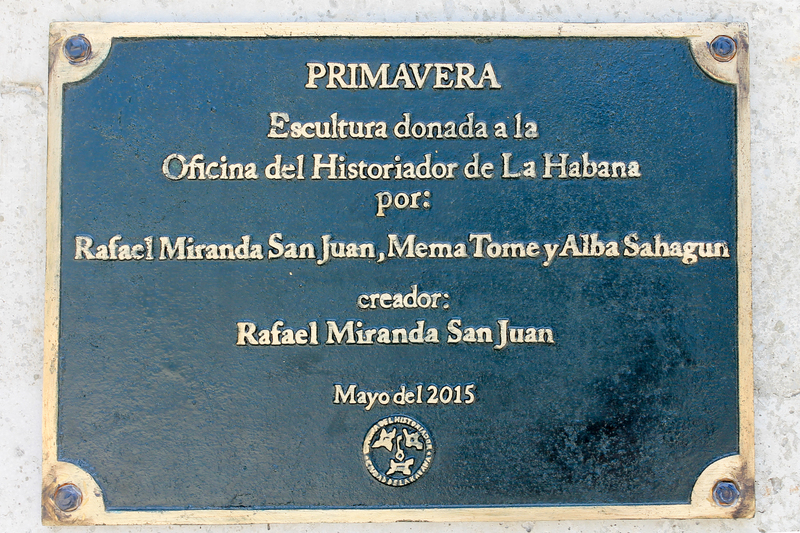 We would see it every time we were heading to or from Habana Vieja. The artist is known for another monumental piece in the series located in Guadalajara titled “Otoño“. I may not be Cuban, but I have been feeling the strength of being a woman. I left the unhealthy domestic environments of Houston and transplanted us to Austin in hopes of starting over fresh and creating the best life possible for my ☀️ and me. So as we settle ourselves among the winter solstice and the new year, I see my own Primavera/ Spring/ season of rebirth on the horizon if I am able to stay the course and look at things for what they are and not what they should be. As the weeks wear on I’ve been more consistent about my Instagram content posting one or two posts/stories daily to increase my knowledge and experience with the platform. An indirect result of finding and creating content is a sense that a weight has been lifted. If you follow my instagram (@tinyjune) you will notice that I have been sharing more and more pictures taken around my study abroad programs back in 2015. When I went through those programs I was in such a depressive state, I could barely speak or put trains of thought together. I rarely remembered anything. The internal dialogue I had was a miserable loop of downtrodden, pessimistic, disparaging comments. I was on autopilot for the most part and there were blips and small slices of time where the environment stimulated the little part of me that was still kicking. I was a fart. A wet bubbly fart. Looking at the photos from that season in my life was poignant, nonetheless I saw a lot of potential. Through editing I made new meanings, interpretations of old parts of myself, similar to this piece that is made of recycled bands of steel. These pictures represented a time in my life when my emotions were rigid and unwieldy and they have transformed into something pliable to serve a new purpose, much like the sculpture. I am confronting my issues head on and doing my best to remain unwavering while still being flexible. I couldn’t be more glad that I decided to share these pictures from 2015 because it’s helping me reconnect to an old me that desperately needed healing. My content has allowed me to share my vulnerabilities and it’s a relief. If nothing else, I get to share my art, which I was very reluctant to do up until this point and that’s a good place to start. I’m too ready to see what 2019 has in store for my son and me. How are you celebrating your life and reflecting back on this year?